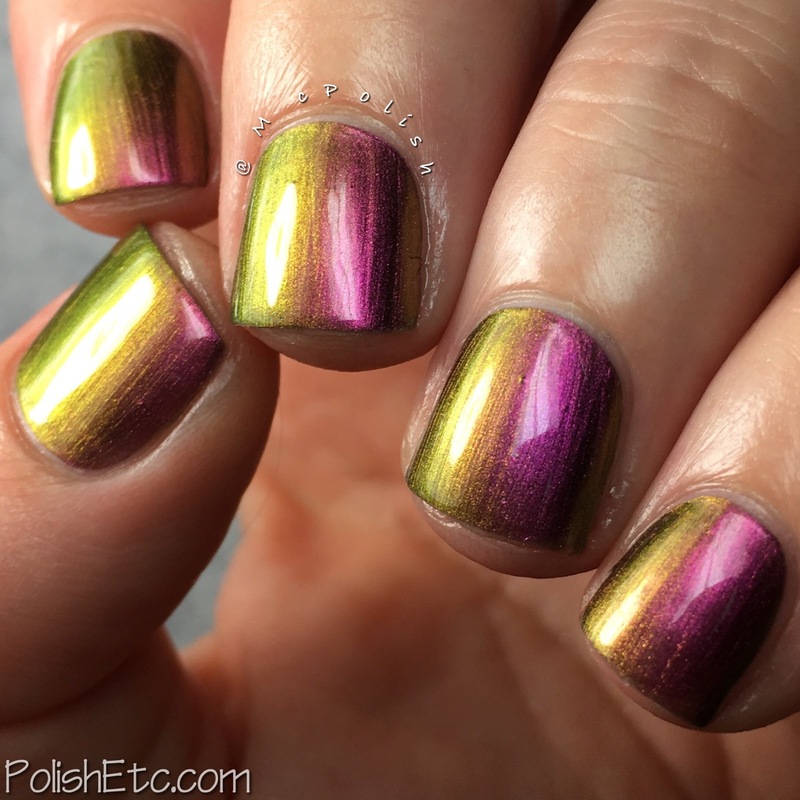 KBShimmer - New Multichromes! - Polish Etc. I have some super duper shifty shifters to share with you today. 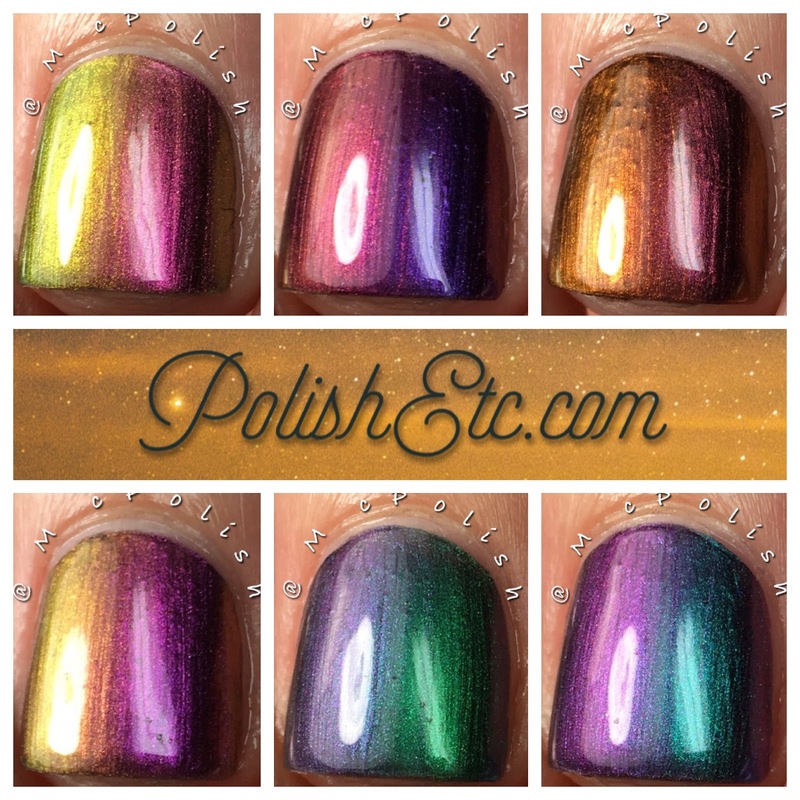 KBShimmer came out with a mini collection of new multichrome polishes this summer. They all shift nicely on the nail and don't require a dark base. They are opaque in their own. These six polishes are available now, so let's take a look at all of the #colorshiftyawesomeness! 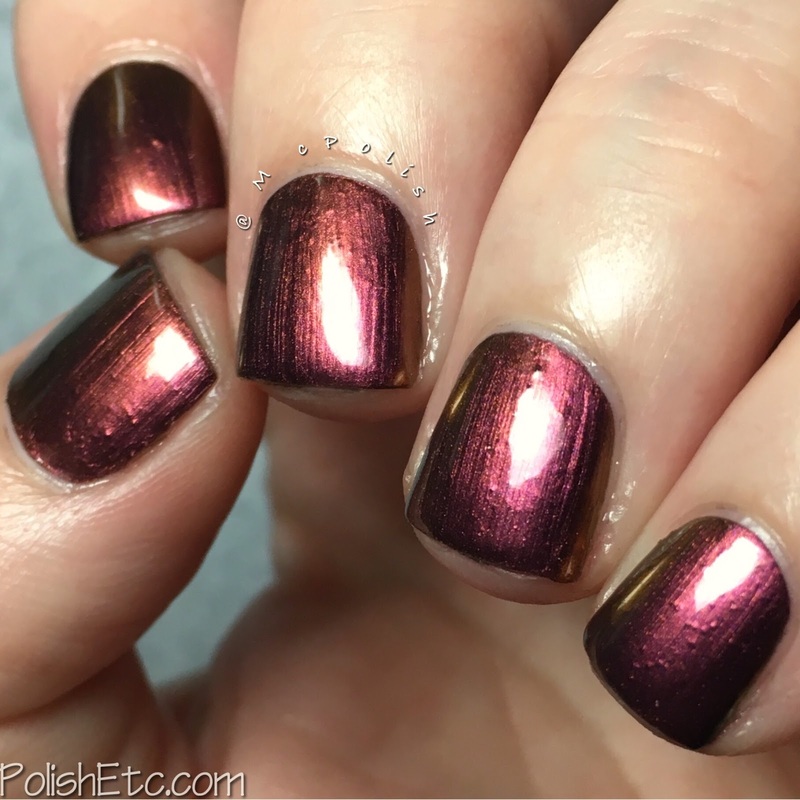 It's A Blazing - A warm burgundy metallic multichrome polish. This color shifts from deep burgundy to warm red to orange to greenish yellow at an extreme angle. 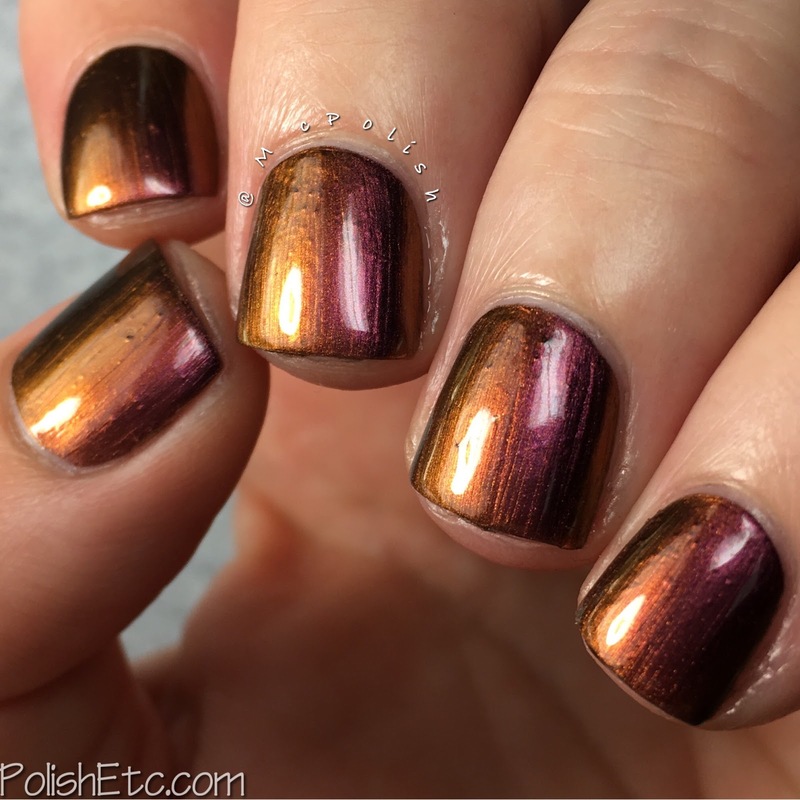 I love the warn autumn tones of this polish. The formula was nice and easy to apply. I am showing you two coats with Clearly On Top. For all of these swatches, the first two photos are under a single direct light source and the last two are under two light sources at opposing angles to show off the shift better. 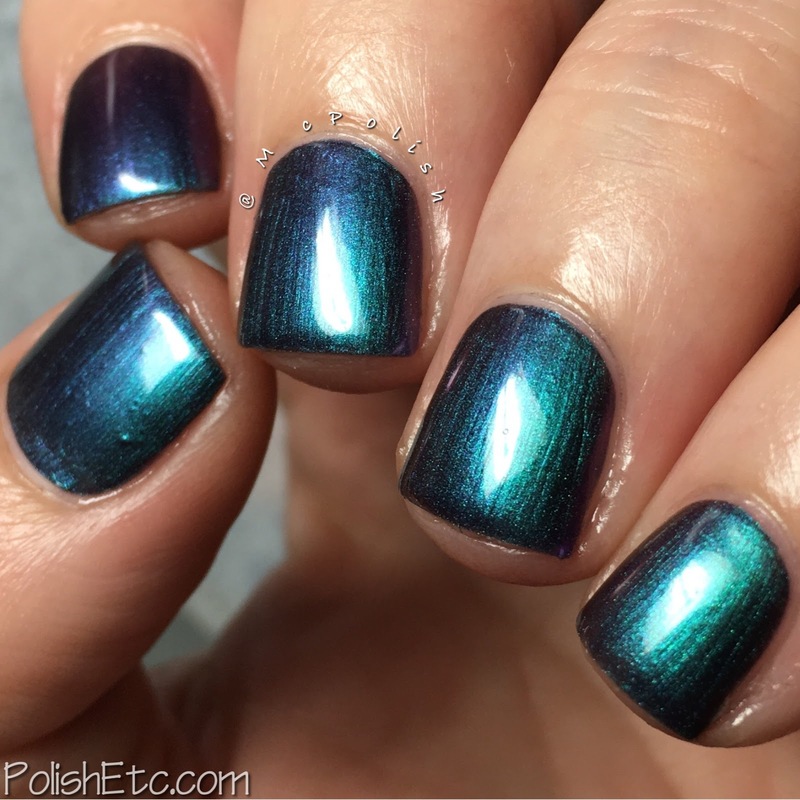 Iridescent Exposure - A deep teal metallic multichrome polish. If you love jewel tones, you will love this one for sure. 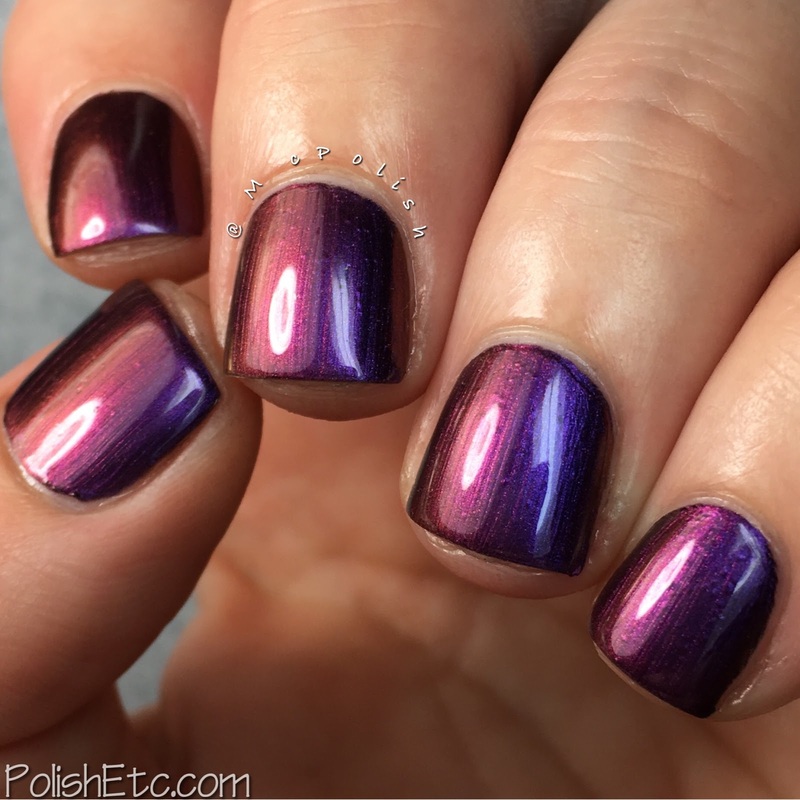 This polish shifts from a deep teal to navy blue to royal purple and then bright magenta at an angle. Again, lovely formula here. I am showing you two coats with Clearly On Top. 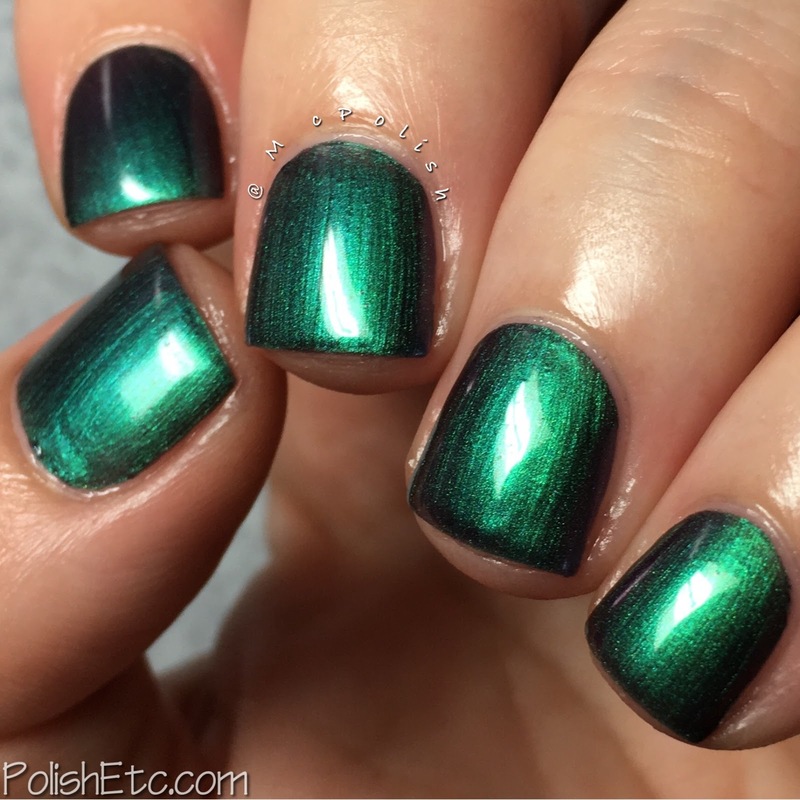 Flip Flop Hooray - A bright emerald green metallic multichrome polish. 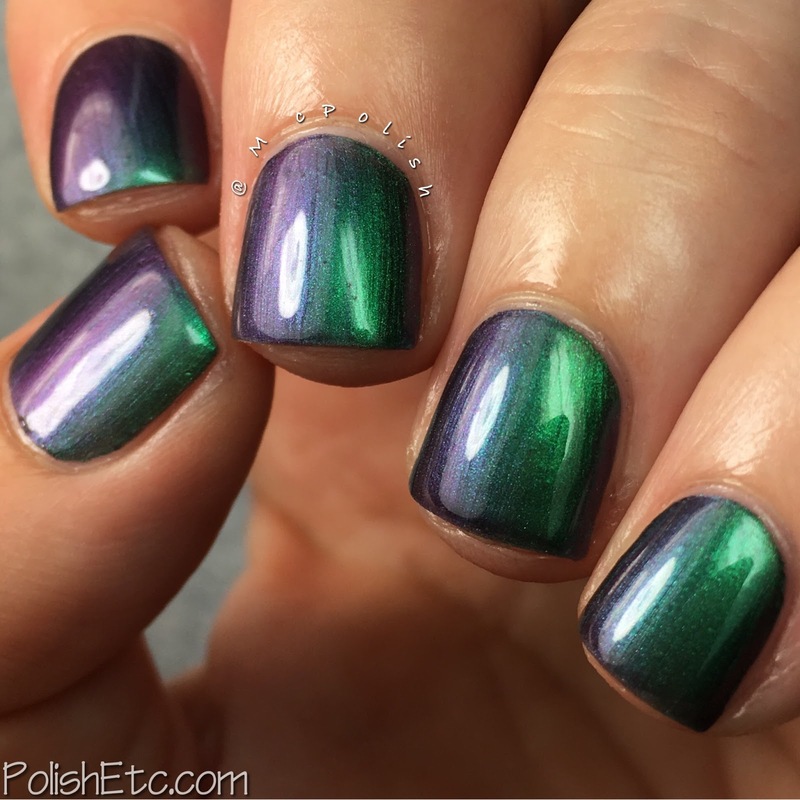 This is similar to the previous polish but the base color is very green which shifts through teal to ingido and then fuchsia/red at an angle. Lovely two coater formula with Clearly On Top. Chroma Chameleon - A deep fuchsia metallic multichrome polish. 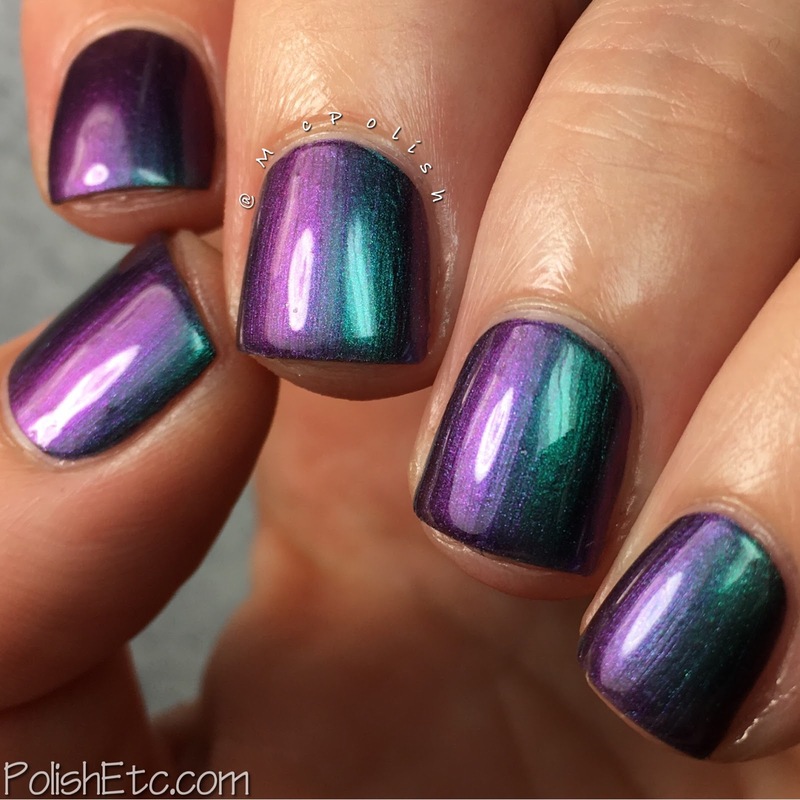 This shade is a classic multichrome. The fuchsia pink base shifts to orange/bronze then golden then to green at an angle. Easy formula with just two coats needed for full opacity. Wine Not? 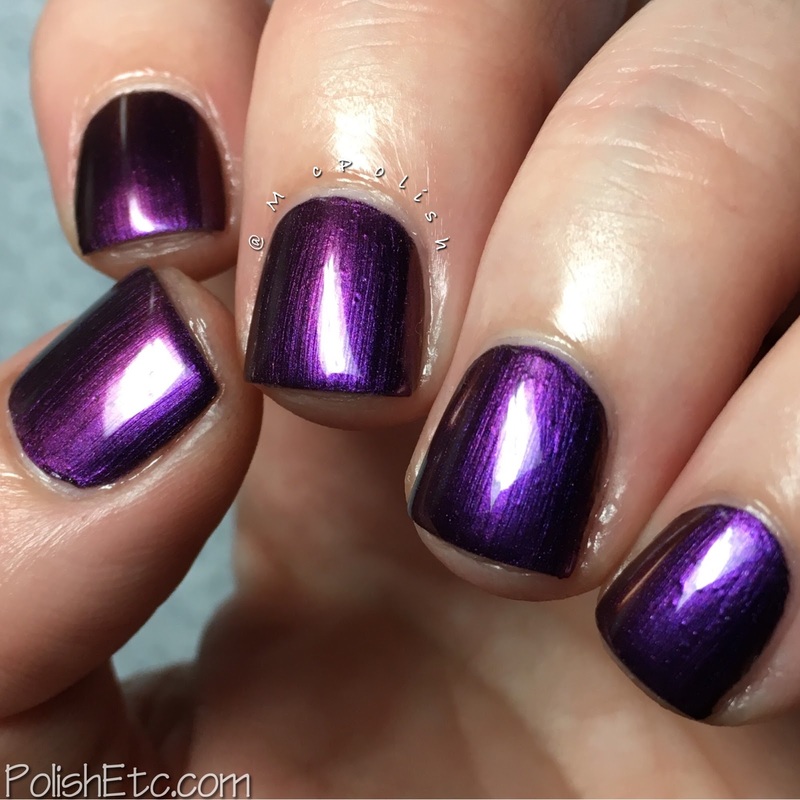 - A deep warm purple metallic multichrome polish. This is the deepest, vampiest shade in the collection. It has a more subtle shift, too. She starts at a deep warm purple then shifts to red to copper to gold. I am showing you two coats with Clearly On Top here. 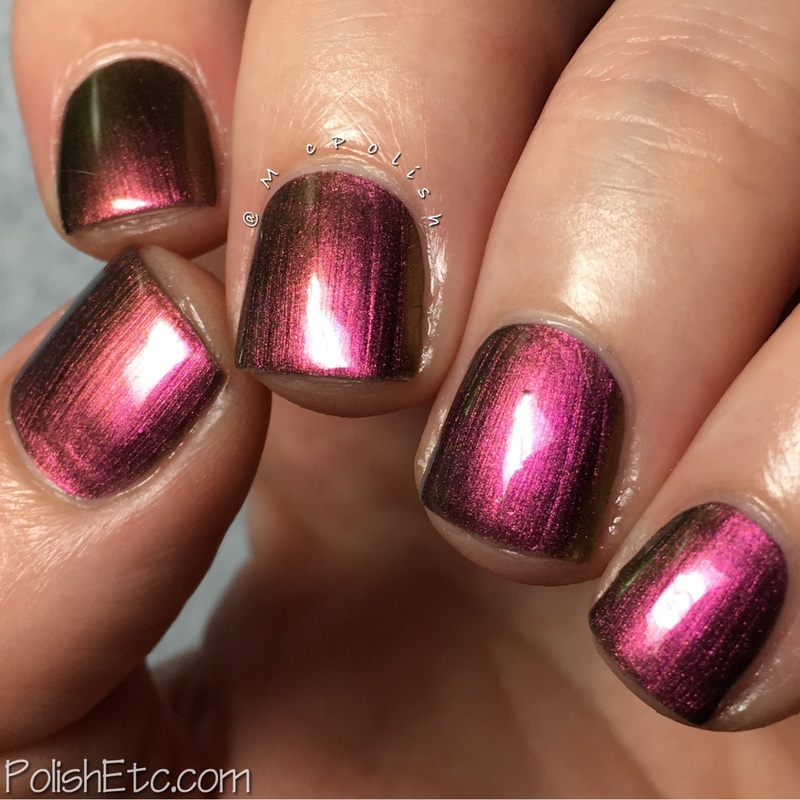 Puns and Roses - A dark dusty pink metallic multichrome polish. This is a classic red to green shifter. It shifts all across the spectrum from pink to red to orange to gold to green. Again, nice formula for all of these. I am showing you two coats with Clearly On Top. So many colors! I swear, I could have taken a million photos of these shades and they would all show different colors. They just shift around to much depending on the angle and the lighting. I promise, the photos listed under the polish names are correct. They are all chameleons. These polishes are available now for $9.25 each on the KBShimmer site. Which are your faves? 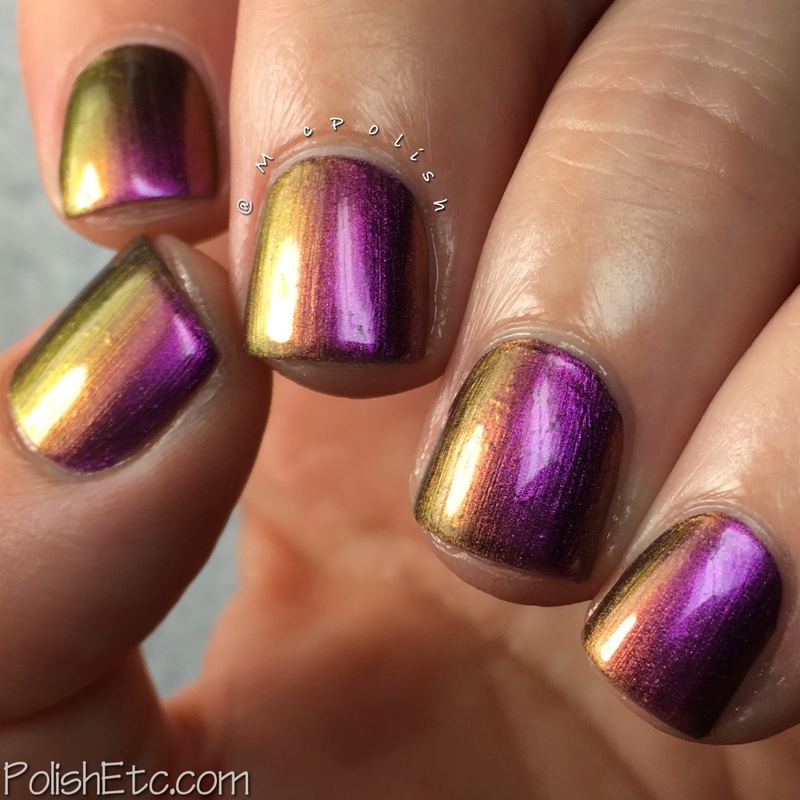 That last swatch macro pic of Iridescent Exposure is insane! Gorgeous! I got all of the colors in that one!